Today, our staff and 52 volunteers were very busy welcoming 223 guests, of whom 34 were new, to our drop-in community center. A big thank you to Myron Wollin and his volunteers from Temple Israel for hosting the day. We also distributed coats, sweaters and other clothing and shoes that were donated by UCO supporters, as well as Paige Pelonis of CityHEART. Our guests were grateful to receive the warm clothing, as exemplified by long-time client Jake Charlees in his new coat in the photo . We also gave out nylon bags that were donated by Jack Nadel International that were filled with snacks and socks, toiletries and bags of groceries. I met with 16 clients and did intake or received updates from them. 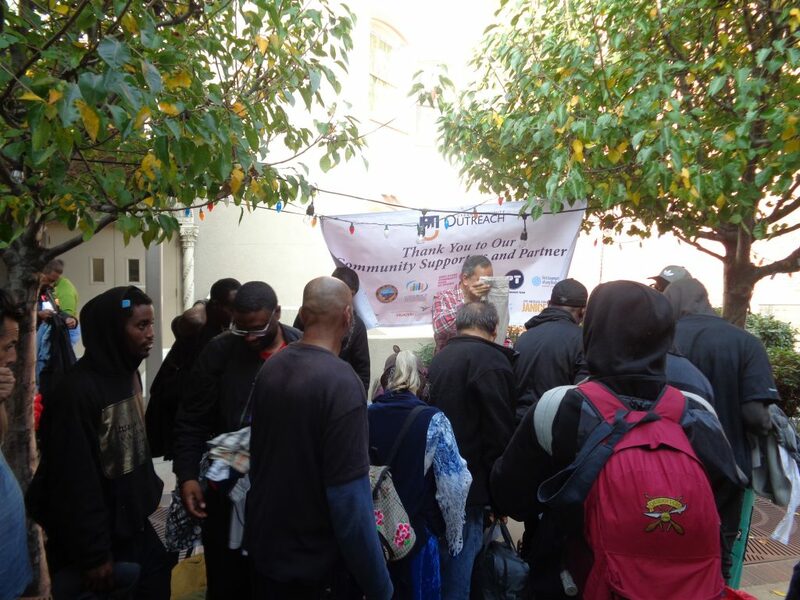 As a result, clients were given single-day bus passes and utility and other assistance. Last week, staff and I helped several clients move closer to receiving approval for their apartments – we facilitated meetings with apartment owners/managers and helped with security deposits and transitional housing payments. Thank you to several UCO Board and Advisory Board members who came to the center today – your jars of peanut butter enhance our pantry and your presence was positively felt. 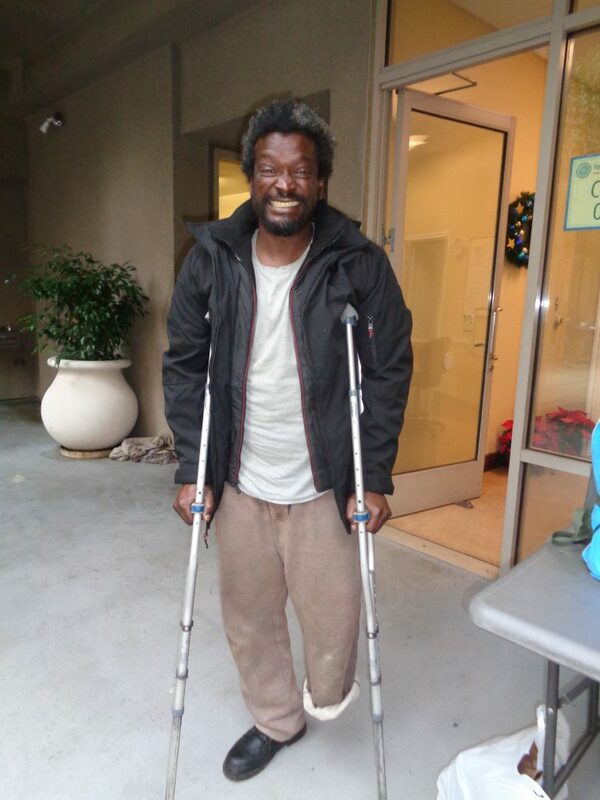 Please know that your support has given UCO the opportunity to move clients towards stabilizing their lives.